After several strategic acquisitions, Extreme Networks is now a major player in enterprise networking. But the company is experiencing some unforeseen integration challenges. “It was the best of times, it was the worst of time” is the opening to the famous Charles Dickens book, A Tale of Two Cities. It's also described Extreme’s financial performance over the past year. Earlier this year the company stock was trading a hair over $15 per share. Today, after it came up light on its fiscal third-quarter financial results, the stock plunged over 25 percent in after-hours trading and now stands at $8.40, a little over half of its 52-week high. This could change when the market opens, depending on investor sentiment. In actuality, saying it’s the worst of times is a bit overly dramatic, as a few years ago, most industry experts thought Extreme Networks was dying a slow death. 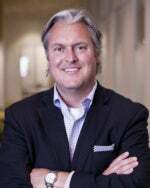 In 2015, Ed Meyercord took over as CEO and he and the company's chief marketing, development and product operations officer, Norman Rice, embarked on a plan to acquire underappreciated assets from companies where networking wasn’t the primary business. Rolling up these assets would help Extreme get its mojo back. In a very short period of time, they acquired the Wi-Fi business from Zebra, a supply-chain technology company; the switching business from Avaya, a unified communications company; and the data center networking business from Brocade, a storage company. Very quickly Extreme went from being a company that people dismissed to the #3 enterprise networking provider and the largest networking pure play. No servers, IP phones, storage or anything else — just networking. The roll-up of the companies gave the new Extreme one of the broadest portfolios in the industry; a bigger customer base to cross-sell into that includes a number of top-tier customers, such as FedEx and Walmart; and a huge reseller base. The company was now off and rolling. If that’s the case, what happened this quarter? Why such a big miss that prompted a massive sell-off by Wall Street? Normally, I don’t write about quarterly results, but I do speak with investors regularly and feel the full story wasn’t well understood and don’t want network buyers to think Extreme is in trouble or even executing poorly. What Extreme is experiencing is growing pains from the unique situation it finds itself in from all of the acquisitions. The purchases it made, particularly Avaya Networking and Brocade data center, were absolute steals, but there’s a reason. Both businesses were going through unusual, almost unprecedented situations. Avaya was in bankruptcy, which was actually the second bankruptcy for the networking business, as it went through that when it was Nortel. Brocade was in the process of simultaneously being acquired by Broadcom and chopped up and sold off. This process was dragging on, and Extreme eventually bought the business from Brocade directly instead of waiting for the deal with Broadcom to close. Revenue was $262 million, $4.32 million short of the expected number. The Q3 revenue was up 76 percent, fueled by acquisitions. But the core Extreme business did see growth of 8 percent, well ahead of industry growth for enterprise networking. I had a chance to speak to Extreme management after the call, and they explained that the company had experienced some unusual situations due to the acquisitions. For example, with the Avaya business coming out of bankruptcy, there wasn’t much visibility into how much Avaya business was directed to UC and to networking. Once a deal closed, Avaya would retain the UC revenue and Extreme would take the networking business. Some of the estimates were off, causing a shortfall. After two full quarters and one partial, it appears that business has now finally stabilized. Brocade, on the other hand, has been part of Extreme for only one full quarter. Since there was so much uncertainty in the business, Brocade salespeople were doing what they had to close business, even if that meant deeply discounting products. Extreme had a tough choice to make this quarter — either tell a few customers they were not honoring the initially quoted price and alienate the customer, or eat the revenue and margin and keep the customer happy. I’ve dealt with the Extreme management team for years and know they always lean toward keeping the customer happy. In a few cases, Extreme decided to honor pre-existing discounts, which caused both a revenue and margin shortfall. This is the right thing to do because it keeps the customer happy and opens the door to sell other products down the road instead of having them go buy someone else’s product. One could say Extreme’s management team may have been overly optimistic when forecasting the business initially. The fact is, though, what Extreme did was unprecedented in business. Dealing with systems integration issues, bankruptcy rules, channel training, and all the other issues created an equation with so many variables that only a Jedi could have foreseen many of the issues that popped up. The management team did tell me they are better prepared now, and that is why the range of guidance was widened. Some of the financial stories that came out indicated that Extreme lowered their guidance. This isn’t true. They widened the range, which brought the midpoint down, but the high end remained the same. Essentially, they gave themselves more wiggle room. I’m not a financial analyst, so legally I can’t give buy/sell/hold recommendations, but I do believe the investment community overreacted, which is a common occurrence. It took Extreme three to four quarters to sort out the Avaya business. If the same pattern holds true for Brocade, there could be another two to three quarters of bumpiness from that piece of the business, but the trend is certainly upward. If you’re a customer of Extreme or any of the companies it has recently acquired, understand the integration of the products is well underway and you’re likely to see more new products faster. Also, the people who came over from both Brocade and Avaya seem to have a new lease on life and are genuinely excited to be working at Extreme. The products are great products, and now they are part of a company that thinks network first — and that should be a positive for everyone involved. Note: Extreme is a client of ZK Research.